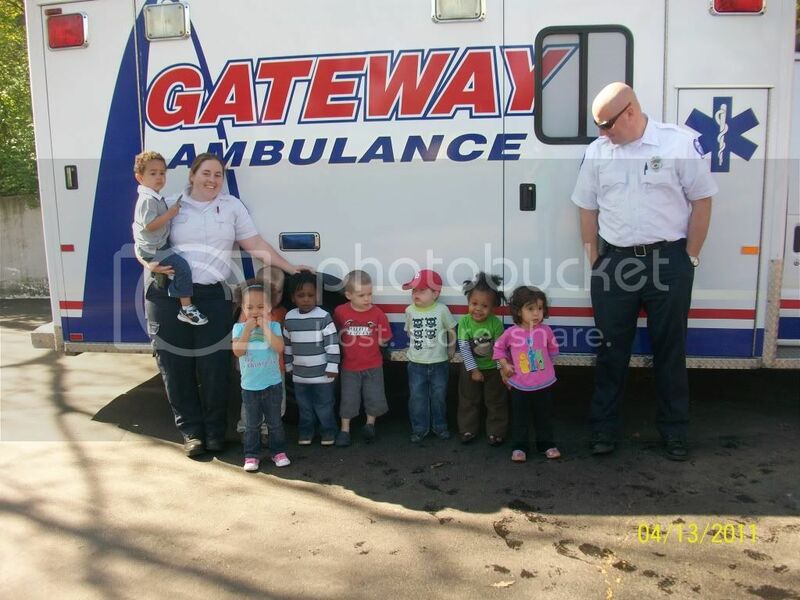 the day care that KTB goes to, they had an ambulance come over so that the toddlers could see what actually happens when 911 is dialled. I don’t know if KTB quite got all of it, but here she is…. She’s on the extreme right, and no, she’s not the smooth-headed guy with the glasses.